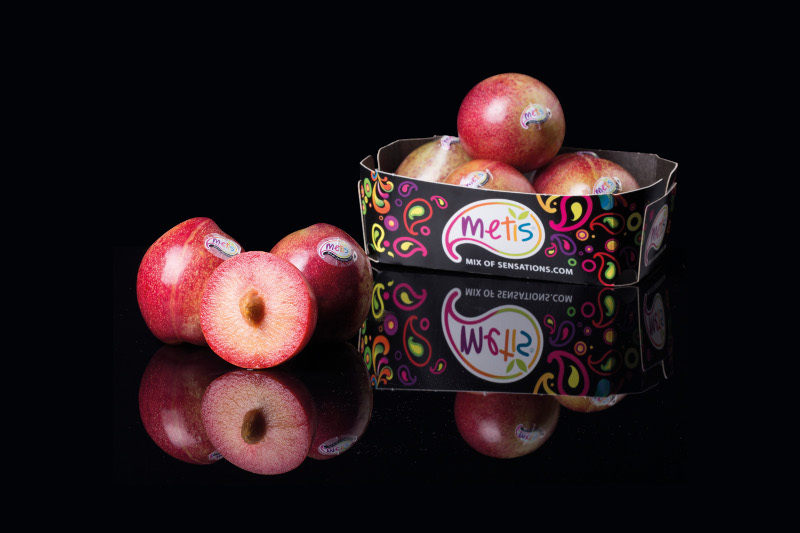 Although the product is widely known in the United States and their large supermarkets have a wide range of Metis® varieties, for Europeans this fruit is still unknown. In Spain, firms such as El Corte Inglés, the Catalan company Condis or the cooperative Consum are already offering the product. Under the Metis® brand name, four families are being presented: Oxy Solar (a red-fleshed plum with dark skin) available from mid-June to mid-October; Safari Star, harvested from mid-June to September (mottled green and red skin and pink flesh); Dark Moon (with ebony skin and a yellow heart) and that is present from the end of August to mid-September and Sunset Sky, bright red in colour, a fruit that continues production until November. The breeding programme is very wide-reaching and every year over 30 varieties are evaluated, which could be introduced onto the market. In this way, Metis® guarantees a diversified, very high quality offer from May to November. 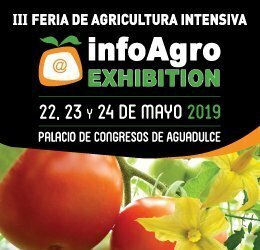 The forecasts are showing that in 2022 the product volume will reach 12,000 tonnes, with fruit from both hemispheres. The 2018 production, as occurs with other stone fruit, has seen an important drop, particularly in France. Overall production will reach 4,500 tonnes. The brand name Metis® was launched in 2014 and it belongs to Glen Bradford’s breeding programme in California. Its breeding programme uses manual pollination or bees as the communication vector. Star Fruits in France and Rústicas del Guadalquivir in Spain are the co-owners of the brand name, organising the licence system in Europe. There are four producers and distributors involved in this organisation: Royal in Spain, Blue Whale in France and Zani and Minguzzi in Italy. Together, they make up Plumplastic Europa. Its main markets are found in Germany, the United Kingdom, Holland and Belgium, and in Scandinavian countries. “For example, Norway is a very interesting country, since its population is highly aware of all the health aspects”.